There’s a lot of information traveling in all directions on “The Information Superhighway”, and sometimes it’s hard to keep tabs on all that’s relevant to you. The Web is changing, and how you get information is changing, especially as “web personalization” continues to deliver a web experience that is more and more tailored to your interests and personal characteristics. On the surface, this may seem like a good thing, but if you aren’t careful, you may find yourself in an information silo, only receiving the type of news and search results that already cater to your thoughts and opinions, thus limiting your worldview and ability to empathize with others. One way out of this information silo is actively searching for content and staying abreast of the digital conversation occurring in your field. 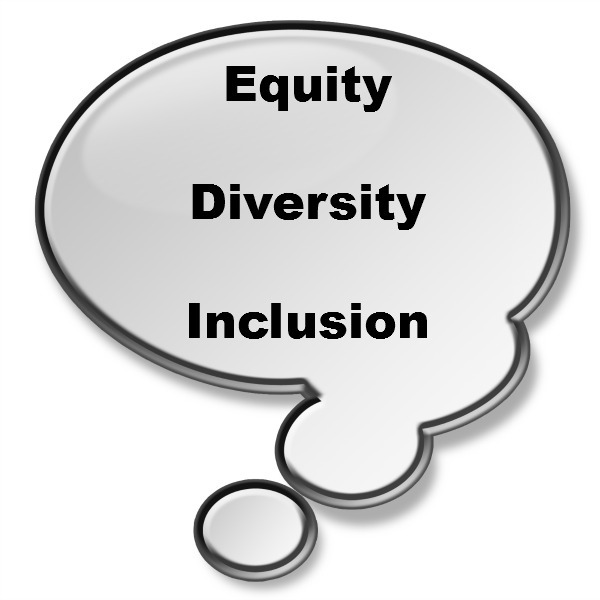 For those interested in the online conversation surrounding topics of Equity, Diversity, and Inclusion (EDI), this is particularly important, as having a variety of perspectives and being able to connect and share information is paramount to promoting inclusiveness. Google Alerts: A Google Alert lets you keep tabs on the information on the web by sending you regular updates, on terms you want to be alerted for, whenever it hits the web’s largest search engine. You can specify when you receive alerts (e.g. once a day, as-it-happens, or once a week), choose which sources to search (e.g. websites, blogs, news, etc. ), choose your region and language, and the quality of your results (i.e. the best results available or all results). At the very least, you should set up a Google Alert for your own name, in quotes (i.e. “Your Name”). The reason you’ll want to put your name in quotes is because doing so lets Google know you only want results that specifically include your first and last name together. This increases the likelihood that you’ll get the best information about you on the web, and it lets you know what information others might be able to find about you via a Google search. Social Mention: Social Mention works like Google Alerts, though it’s specific to social media. Social Mention offers social search and analysis across a number of different social media networks, with the ability to learn the social sentiment surrounding a search term (i.e. positive, neutral, or negative), as well as providing information on the topic's keywords and users talking about the term on the social web. The next step in following the digital EDI conversation on Twitter is following a hashtag (#) that enables you to a relevant keyword or phrase. Hashtags on Twitter are a great way to quickly find other people talking about a topic, and they can often be used to galvanize a movement or quickly centralize communications among a large, dispersed group of people (e.g. Follow what’s currently happening in Ferguson, Missouri via the #Ferguson and #MikeBrown hashtags). Note: Social Mention will have results from Twitter, but it’s likely that Twitter’s search results will be the most updated, as Social Mention has to pull its content through Twitter’s system. You can also check out the 4 Things Diversity Professionals Should Know About Twitter and the #Diversity4US (U.S. based) and #DiversityCAN (Canadian based) hashtags on Twitter. Are there any other strategies that you use to stay updated on equity, diversity, and inclusion on the web?